We often forget that our skin is our largest organ. Everything we put on our skin can be absorbed into the body. Maybe you eat organic, whole foods. You drink water, exercise, and get eight hours of sleep. If you haven’t taken a serious look at your beauty routine though, now is the time. Here is a basic recipe for a super hydrating body butter for all those pesky dry spots (think feet, hands, elbows, and knees). You can customize it using any scent you wish, and if you prefer using different oils or butters that’s up to you. 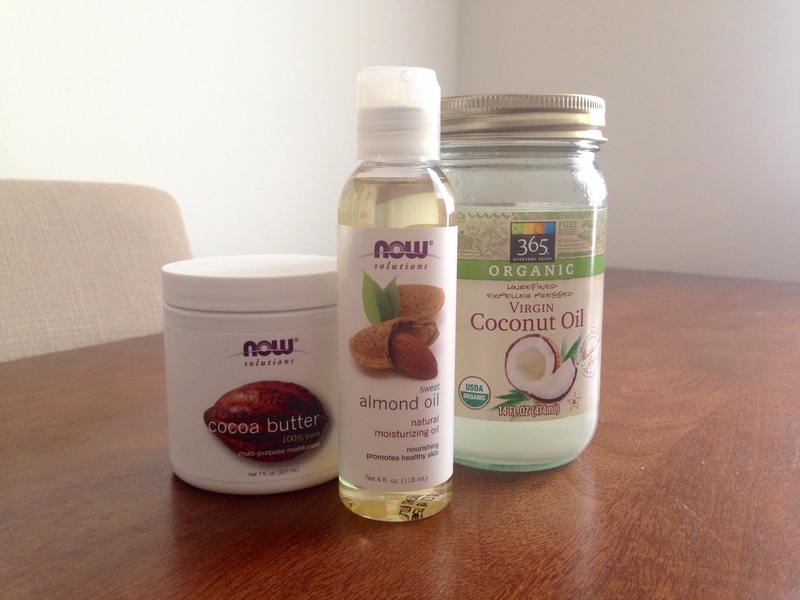 For this recipe I used cocoa butter, coconut oil, and sweet almond oil. – If you’d like to achieve a light, fluffy, and airy texture I recommend shea butter over cocoa butter. The cocoa butter makes a slightly-firmer intensive moisturizer that melts once it touches your skin. It does not have the same whipped consistency as store-bought body butters. – You can fragrance this butter however you like, but I recommend either body-safe essential oils or body-safe fragrance oils. Some recipes I’ve found online use vanilla extract and spices from the cupboard like cinnamon and nutmeg. I’ve tried using vanilla extract and I had to add a ton to achieve any scent whatsoever. As far as the spices go: It just doesn’t seem like a great idea. I feel like it’d be gritty and wouldn’t rub in. – I buy my fragrance oils through CandleScience. They have an excellent selection of body-safe fragrances. 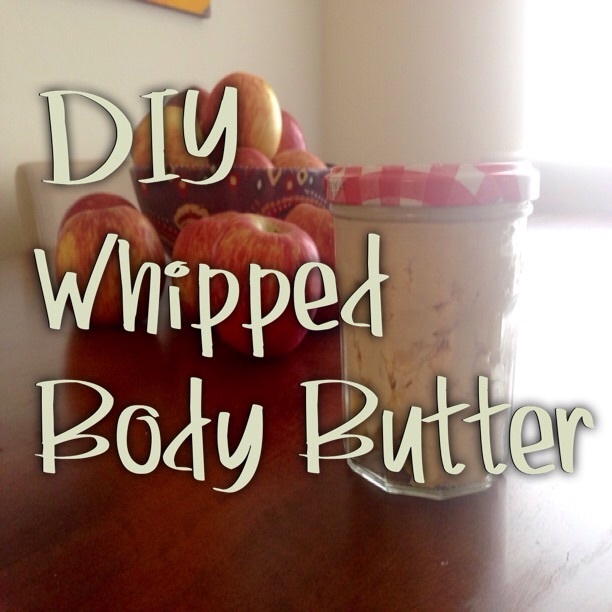 “Very Vanilla” is one of my favorites and would work beautifully with this body butter. – If you do choose to substitute ingredients for what I have listed (ex. Replacing almond oil with jojoba oil) try to keep the ratios of butter: oil the same. 1. In a double boiler, gently melt cocoa butter and coconut oil. 2. Add almond oil and fragrance of choice. 3. Place mixture in the freezer for 30-40 minutes, or until the mixture has begun to solidify, but is still slushy. 4. Use a stand mixer to whip until fluffy, around 10 minutes. 5. Store in a glass jar with a lid and use as you would a regular body lotion.